Three things to share today. 1. Pink Boys: Gender is not binary! “…gender is a spectrum rather than two opposing categories, neither of which any real man or woman precisely fits. 2. The manbox and why men must and should be liberated from its walls. Well, just watch the video, it’s only 12 minutes long. And it speaks The Truth, a truth that you need to know! The 20th Israel Film Festival (IFF) in Singapore is happening from 5th – 11th of September this year and Cathay will be screening this film. I definitely plan to catch it! 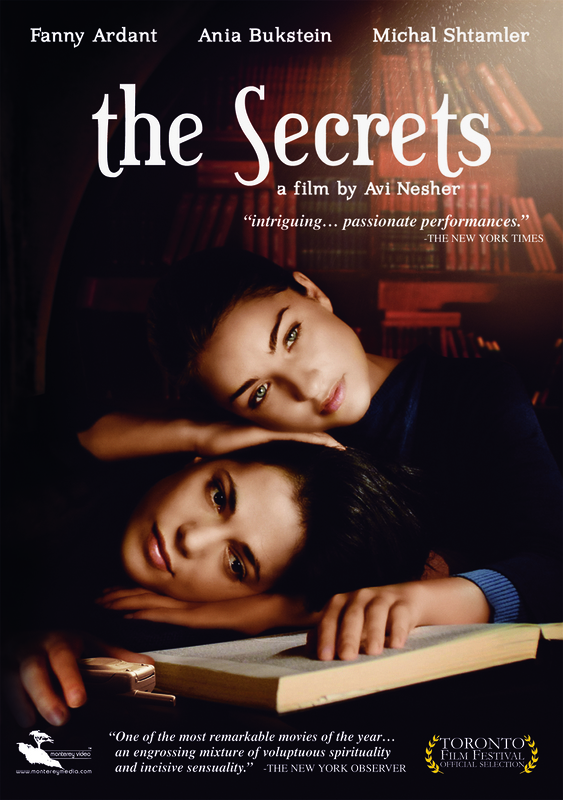 Synopsis: Two brilliant young women discover their own voices in a repressive orthodox culture Naomi, the studious, devoutly religious daughter of a prominent rabbi, convinces her father to postpone her marriage for a year so that she might study at a Jewish seminary for women. Naomi’s quest for individuality takes a defiant turn when she befriends Michelle, a free-spirited and equally headstrong fellow student. When the pair encounters a mysterious, ailing foreigner with a disturbing past, they begin a risky journey into forbidden realm, opening up overwhelming new horizons. The girls soon find themselves caught between the rigid male establishment they grew up in, and the desire to be true to themselves, no matter the cost. Super expressive, she tells her story so well. Great watch. BBC Horizon: Out of control? More about the subconscious than free will or being in control, but still an interesting watch. For an awesome lesson on how much we don’t notice (ie out much is filtered out and summarized and simplified for us so we can function everyday), watch this awesome ad. I came across this special issue by the Chronicle of Higher Education dealing with the question “Is Free Will an Illusion?” It features 6 short essays on the topic. Pretty interesting, give it a read! I’ve been vaguely fascinated by the topic of free will for some time. I found myself, through my own random musings, being lead more in the direction of determinism, or denying free will, which at first alarmed me because such a position felt so counter-intuitive; surely most people would reject such a position as ridiculous. Imagine my surprise and delight when I found, upon reading up more on the subject, that this was actually a pretty common position amongst those who have explored these issues! My thoughts on free will started from thinking about religion and belief. To me, free will was religion’s ‘trump card’, the reason why suffering exists, why God cannot simply pluck us out of disasters, and essentially why I’m going to hell: because I choose to reject God. I argued that no one chooses that. No one would ever say, “Yes, I know God is my Creator, I know he is Truth and I know the consequence of rejecting Him. But in accordance to my right to free will, I can choose to reject Him, and I do.” No body chooses to reject the truth. I’ve heard some arguments from the religious about why God doesn’t just reveal himself to all that run as such: If God were to do that then people would be forced to believe in Him, but God wants us to come to Him of our own free will. So… knowledge eliminates free will but ignorance allows it?? When you say, “I don’t believe in God.”, it hardly feels like a choice. Given my background, the way I approach problems, all that I know and I that I’ve read up till today… could I choose to say instead, “I believe in God.’? No. The reason why I don’t believe in God is that the concept doesn’t make sense to me. I can’t believe in God, at least not right now knowing and having experienced all that I have. Just take the case of those who deconvert– they certainly didn’t choose to lose their faith, and often times they really, really, really want to keep believing, but found that they couldn’t do it anymore. I also wondered about when a decision counts as a choice. If you’re ignorant and have no knowledge–say you’re given three blank doors with no clues as to which contains the prize– is it an exercise of free will when you pick one? Or when you’re in possession of a lot of information about two different options– say you have to pick between two types of medical procedures– is it an exercise of free will when you weigh all the pros and cons and pick which one you think is best? But given the information that you had, and coming to the conclusion of which looked like the better option, could you have not picked that option? Maybe free will and true choice only exist when there are no right or wrong implications to the choice, that is, when it is a subjective choice. For example, choosing between vanilla or chocolate ice-cream. Seems I could easily choose one or the other freely. But then again… that’s determined by some sort of internal bias– chocolate tastes better to me, or I’ve subconsciously come to prefer chocolate because there’s a subconscious, cultural implication that vanilla is for girls and sissies. If you hate durian or classical music, can you really choose to love them? Although I’m not sure I fully support his dating analogy, the basic message is the same: it’s not a choice and no one chooses to reject God.